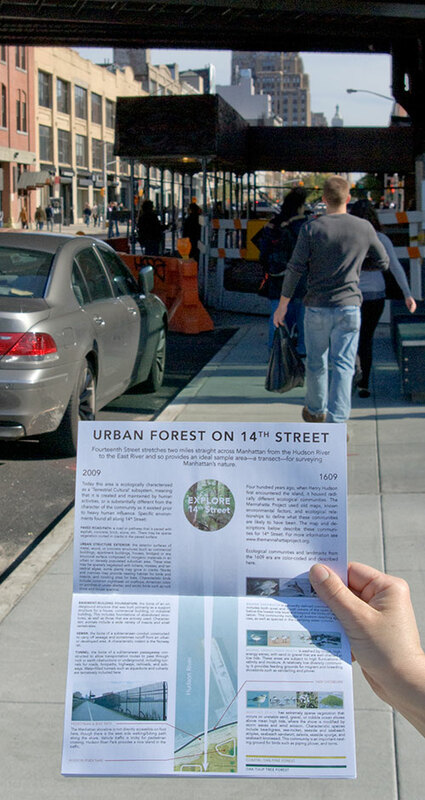 Urban Forest on 14th Street, 2009. 5.5 x 8.5 in., 12 pages. 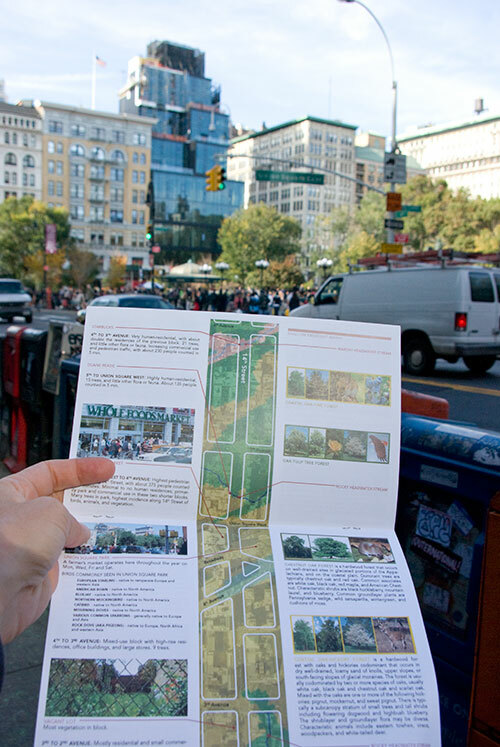 Urban Forest on 14th Street is a self-guided walking tour comparing today’s 14th street in Manhattan to the same place 400 years ago, based on data from the Mannahatta Project. 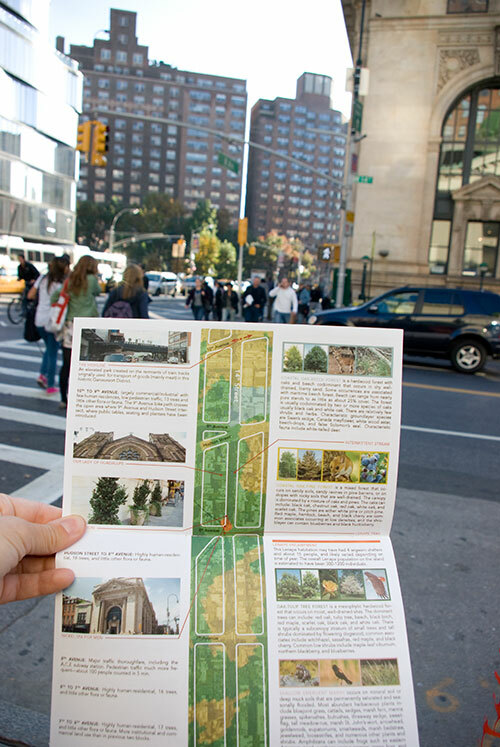 The map-guide (dowload as PDF here) explores the street block-by-block from the Hudson to the East River, showing the forest types, ponds and streams that were present in 1609.